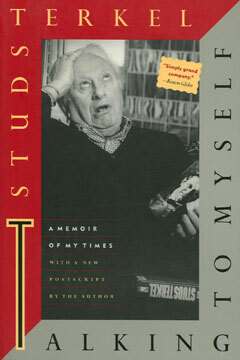 In Talking to Myself, Pulitzer Prizing–winning author Studs Terkel offers us an autobiography for our times—the stirring story of a man whose life has been so vivid that its telling mirrors the events of our century. From Mahalia Jackson to Bertrand Russell, from Martin Luther King Jr. to Frederico Fellini, Studs has met them all and captured their voices for us. With the addition of a marvelous new postscript, Talking to Myself is as enjoyable now as when it was first published—a work that is as unusual as it is compelling.